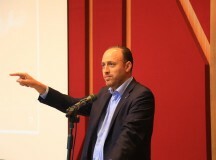 Koby Huberman, Co-Founder of The Israeli Peace Initiative, addressing YaLa’s 5th Annual Online Peace Conference, 23 June 2016. Screenshot. Youtube. The two-state solution is the only viable solution to the Israeli-Palestinian conflict. Yet we need a new paradigm to reach it because the old ‘Bilateral Negotiations’ paradigm doesn’t work. On the other hand, for the first time in history there is an opportunity for a new regional deal that will generate cooperation between Israel and its new regional allies in order to create stability, limit Iran’s influence, fight radical Islam, rehabilitate the region’s economy and assure Israel’s security. The convergence of interests offers an opportunity to advance the two-state solution, but in a new way. The old bilateral paradigm assumed that Israelis and Palestinians could negotiate and reach a permanent status agreement for the two-state solution, as if all they needed was to return to the negotiating table and show more seriousness. The recurring failures of the old ways require some fresh thinking – ‘one more heave’ won’t do. In this article I outline five myths and fundamental misconceptions of the ‘Old Bilateral Paradigm’ and set out the five components of the ‘New Regional Paradigm’. Old Bilateral Paradigm: The two-state solution should be the ultimate goal of the negotiations. New Regional Paradigm: The ultimate goal should be a comprehensive ‘Package Deal’ that combines the two-state solution with a regional cooperation agreement. The two-state solution is an unbalanced deal, which has proven hard to sell. It requires Israelis to make significant concessions, and in return gain very little from the Palestinians. The Palestinians will be busy building a weak state and trying to stabilise it while facing huge challenges of security and governance. The asymmetry between Israeli expectations and the Palestinians’ ability to deliver is a major risk. It is unrealistic for a demilitarised Palestinian state to be a guarantor of Israeli security against key strategic threats. Israeli security cooperation with Arab states could provide this. Moreover, the scope of economic cooperation required in the region goes far beyond Israeli-Palestinian economic development opportunities. Lastly, the fundamental Israeli demands for normalisation and recognition cannot be met by the Palestinians. Therefore, for the price Israel needs to pay to achieve a two-state deal, it needs to gain a significantly better ‘product’. Consequently, the outcome of negotiations should be a four-legged deal – the Israeli-Palestinian two-state solution together with a regional agreement on security cooperation, a regional agreement on economic development, and a regional agreement on normalisation. Basically, the new ‘give and take’ formula for the final status end-game should be: Israel concedes to the Palestinians and is compensated by the Arab states. Similarly, the Palestinians will have to make huge concessions for a two-state deal, particularly when it comes to their narrative of victimhood and their dream of the refugees (and their descendants) returning to their former homes. Their compensation for this should be via the Arab world in the currency of legitimacy and support – morally, financially and economically. In the eyes of the Palestinian leadership, the concessions they have already made and the risks they are facing vis-à-vis their people outweigh the benefits of a small-scale Palestinian state. 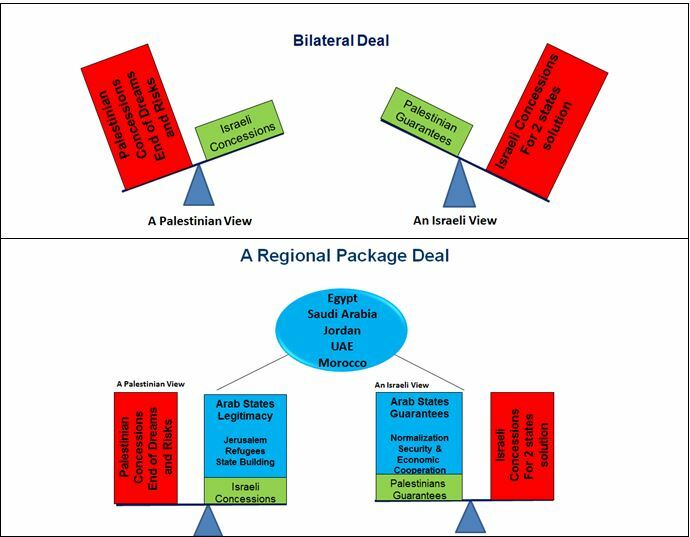 Here is an illustration of the asymmetry of Israeli and Palestinian compromises in comparison to the balance of a regional package deal. In short, the ultimate outcome should be a regional package deal which addresses Israeli and Palestinian concerns beyond just ‘two states’. 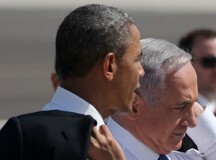 Old Bilateral Paradigm: Bilateral Israeli-Palestinian negotiations are the way forward. New Regional Paradigm: Negotiations should include key Arab states – Egypt, Jordan, Saudi-Arabia and the UAE. Take and share the responsibility to block spoilers – political or militant parties and terrorist organisations (Hamas, Islamic Jihad, ISIS, Al-Qaeda, Muslim Brotherhood). Old Bilateral Paradigm: A permanent status agreement will be achieved in one step, and until then the sides should work on the assumption that ‘nothing is agreed until everything is agreed’. New Regional Paradigm: Negotiations should start with an agreed end-game framework, to be developed in steps, under the principle that ‘whatever is agreed should be implemented’. There is too much risk in entering the negotiation room with a focus on reaching a permanent status agreement in one step. On the other hand, negotiations built around a series of incremental steps, such as the Oslo process, can be derailed because the process gives the spoilers enough room and time to prepare their sabotage. 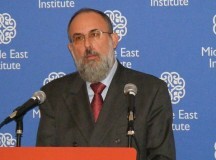 Moreover, the Palestinians will reject any attempt to reach an interim agreement as they will be suspicious that any such interim agreement will ultimately become permanent; and Israelis will find it too difficult to bet on an ‘all or nothing’ approach because the closer the sides get to the final agreement, the more likely the Palestinians will raise new demands, thus trying to improve their position through pressure at the last moment. The alternative paradigm involves quietly negotiating the Terms of Reference (TOR) for an end-game ‘regional package deal,’ articulating the principles of its four legs mentioned above. 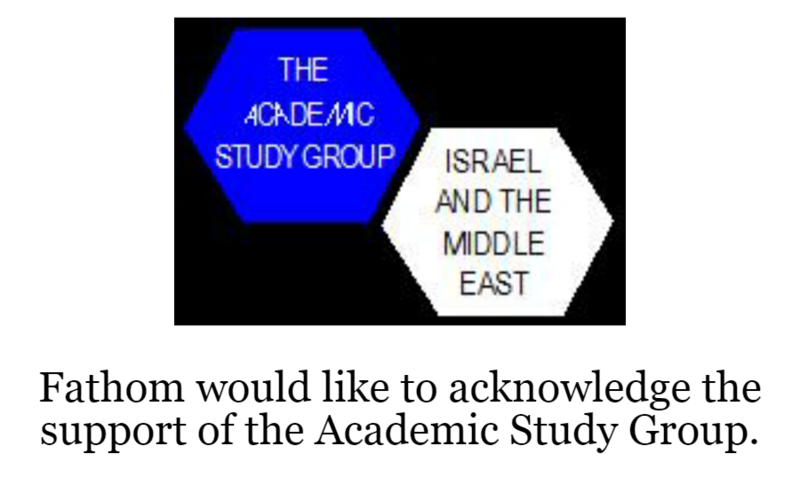 The TOR should reflect the concepts presented by the API, and should also reflect Israeli interests and concerns. Then, the parties would build transitional agreements which will allow them to negotiate steps and implement whatever is agreed in order to change reality on the ground, ensure gradual state-building and creating viability for a Palestinian state. And whenever Israel makes progress vis-à-vis the Palestinians, it will trigger positive steps by the Arab states that promote progress towards normalisation. The new process described above also offers a new opportunity for the leaders to gain public support by proving to their people that even during the negotiations they are able to obtain tangible benefits for their people. 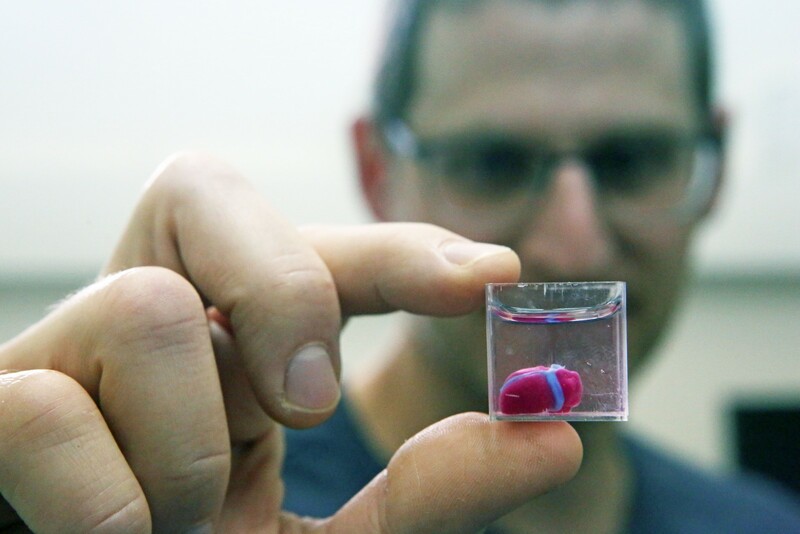 For Israelis, the gradual steps towards normalisation are key – practically and psychologically. For Palestinians, the very existence of a political horizon together with changes on the ground is vital. And for the Arab states, the ability to show their people that the cooperation with Israel impacts the progress towards solving the Palestinian issue is hugely important. Old Bilateral Paradigm: The US assumed the role of (sole) mediator. New Regional Paradigm: Responsibility lies with regional leaders; mediators should act as conveners and enablers. The ‘shuttling US Secretary of State’ model should not repeat itself. The US is not alone on the ground (Russia is now intimately involved in the region). Regional parties need to take more responsibility upon themselves. 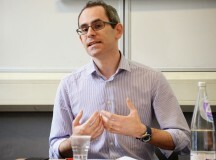 Mediators should become enablers for a regionally-led process. The Egyptian president and the Israeli prime minister should prepare the groundwork for a regional platform that hosts Israel, the Palestinians, Saudi Arabia, Egypt, Jordan and the UAE. US-Russian cooperation should help encourage the regional leaders to take the necessary steps and launch negotiations. In fact, the regional package deal must be seen as part of a ‘grand bargain’ agreed between Russia and the US in order to build stability in the region and in adjacent areas. Old Bilateral Paradigm: International actors must use pressure on Israel in order to obtain more Israeli concessions to achieve progress in the right direction. New Regional Paradigm: International pressure will do the opposite, so avoid it. Whenever bilateral negotiations fail, many in the international community call for more international pressure on Israel, in the form of UN resolutions, final status parameters, or the Boycott, Divestments, Sanctions movement (BDS). The dominant narrative blames Israel for any failure and is based on the false assumption that pressurising Israel will bring it back to the table. There are several flaws in this analysis and attitude. First, Israel should not be solely blamed for the recent negotiation failures (Palestinian Authority [PA] President Mahmoud Abbas did not respond to then Israeli Prime Minister Ehud Olmert in 2008; he did not respond to then US Secretary of State John Kerry in 2014). Second, international pressure will only incentivise Palestinians not to compromise, because it feeds their belief that they can gain greater concessions from Israel through pressure rather than via the negotiation table. Israel is fiercely averse to negotiating under pressure. The recent UN Security Council resolution (2334) actually strengthened that sentiment among Israelis. Any such attempt to impose parameters or ‘punish’ Israel will be counter-productive. Instead, the international community should start apportioning blame more fairly, and understand that rather than airing their frustration, they must offer constructive ideas and encouragement to all parties (Israelis, Palestinians and the Arabs) to build a different approach. The end goal should be a regional package deal that comprises the two-state solution as well as regional security cooperation, regional economic cooperation and regional normalisation agreements. Negotiations should be conducted in parallel between Israel and the PA and Israel and the key Arab states. 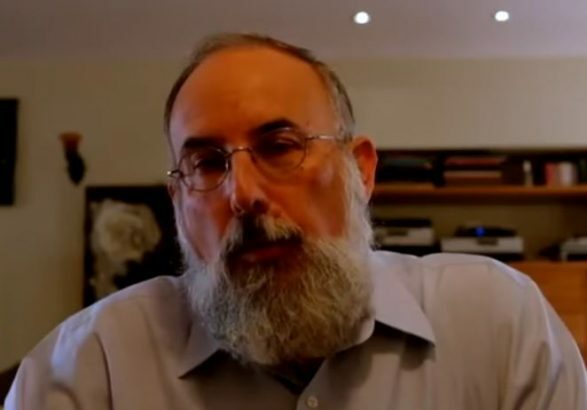 Negotiations will be based on TOR of the end game, reflecting the spirit of the API and Israeli interests. While the end-game package is negotiated, it should be reached in a series of phased and transitional agreements. The guiding principle should be that everything that has been agreed and can be implemented should be implemented. The process should be regionally led and internationally supported with the US, Russia and the EU playing a role of conveners and enablers. There should be no international pressure on Israel since this de-incentivises the parties. Old habits die hard, but the new American administration has an opportunity to rethink many of the assumptions that have accompanied the Israeli-Palestinian peace process for many years, but which have now lost their relevance. Instead, the US administration must seize the moment to encourage regional leaders to make progress and so serve their shared interests.